Mike Pence 2012: Governor or President? Mike Pence has been a rumored candidate for President for a few years now. There were whispers leading into 2008, and those whispers got louder as he became a leading critic of Barack Obama after the 2008 elections. Since the 2010 election, there have been some different rumors: that Pence would run for governor of Indiana instead of President of the United States. There's no doubt Pence would be a great President, and is exactly what we need right now. He is a solid fiscal and social conservative, and we can count on him to be a strong advocate for our issues as President. He has a significant amount of grassroots support. But should he run? History is not on Pence's side. While a number of Congressmen have been President, only one sitting member of the House of Representatives has ever been elected to the Presidency: James Garfield of Ohio way back in 1880. Since 2012 will certainly be a crowded Republican field, will a sitting member of the House of Representatives be able to break away? At this time, Pence should run for governor instead. He built a strong statewide organization and gained a lot of name recognition stumping for Republicans around Indiana. With Lt. Gov. Becky Skillman out of the 2012 primary race, Pence would be heavily favored to win the primary. Whoever wins the primary would likely cruise in the general election, as Mitch Daniels did two years ago. 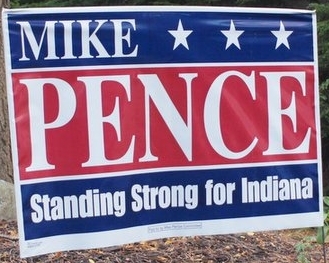 As a governor, Pence would be able to run a more formidable campaign in 2016 or 2020. He would have the administrative experience of being a chief executive as well as a decade in the House. Governors tend to do well historically, especially in the last 40 years. Jimmy Carter, Bill Clinton and George W. Bush were all sitting governors when they were elected and Ronald Reagan was a former governor. Four or eight years of experience as a governor would be an opportunity for Pence to continue to build his national name recognition for a Presidential race. In addition to strengthening his Presidential ambitions, Pence is likely to win if he runs for governor. Both history and a crowded Republican field make the odds of winning the Republican nomination for President much tougher. If he runs for President in 2012 and loses, Pence is out of office. If he runs for governor in 2012, he will most likely win and will be in a stronger position in 2016 or 2020. 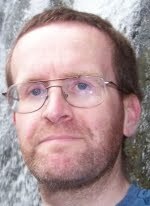 Scott Fluhr thinks Pence will run for governor in 2012. I see enough evidence for both paths that I will not make a prediction on what Pence will do, but running for governor is what he should do.